Our customer-oriented philosophy makes our passion for helping schools and education a top priority here at STI. We always strive to best serve the educational industry with concierge-level services and support, and top-tier, low-cost products that help schools reach their goals and stay at or below their budget. Our Dell certified pre-owned workstations, laptops, and hardware always perform at their highest capacity, but are sold at bargain prices. This means that with STI, it’s easy to get more equipment into the hands of your students and faculty – without the stress and difficulty. All of our products are reviewed and tested by Dell-certified technicians, making them trustworthy and like-new. Our flexible service offerings are always tailored to fit the distinctive needs of each and every district. STI has been providing smart and dependable educational solutions for 15 years. 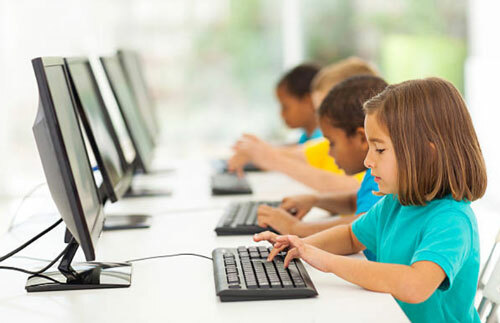 We offer customized Dell new and certified pre-owned server and storage solutions, as well as PCs and laptops to fit your educational needs and budget. Our friendly and knowledgeable Account Executives are ready to help you find the best products, offer advice, and answer any questions you may have. Dispose of your outdated devices the responsible and safe way with STI’s ITAD services. Our hard drive shredding process allows for hassle- and worry-free data destruction; making sure that all confidential information is correctly destroyed at our certified and protected facility. You can also recycle your unwanted and outdated electronics with our environmentally-friendly recycling service. Let us evaluate your products and determine the right plan of action to fit your budgetary needs. We specialize in buying and selling electronics, and can determine a custom plan to make sure your equipment is upgraded, managed effectively and efficiently, and will receive the maximum recovery value for any retired IT assets. Take away the worry and hassle of setting up numerous electronics for your faculty, staff, and students and let the experts handle the beginning stages of all your electronics. With our pre-deployment services, we take the guesswork out, which lets you to take your products right out of the box and begin use immediately. Eliminate the concern for broken technology with our warranty and protection services. 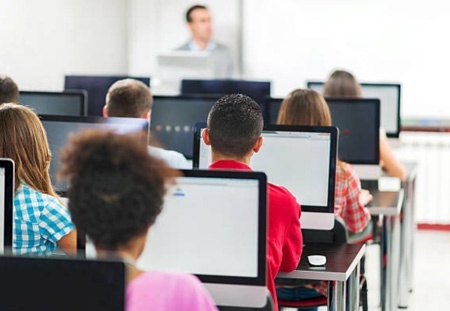 We want students and faculty to focus on learning, not device failures.